At least 30 firefighting units battled a two-alarm fire at a commercial building in Dade City on Friday. 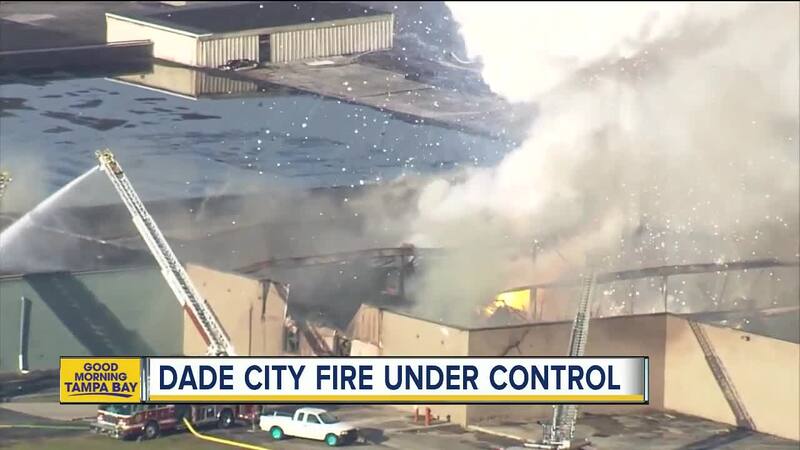 DADE CITY, Fla. — At least 30 firefighting units battled a two-alarm fire at a commercial building in Dade City on Friday. The call came in around 12:26 p.m. that afternoon. Authorities say the fire was under control around 6:45 a.m. Saturday morning. The fire was burning at Bon Metals located at 15222 Citrus Country Drive in Dade City. Thick plumes of black smoke could be seen for miles as Action Air 1 flew to the scene. Explosions could also been seen as the water from the firefighters mixed with the burning metals. Firefighters from Pasco County Fire Rescue, Zephyrhills, Plant city and Hernando County worked together to put out the flames. 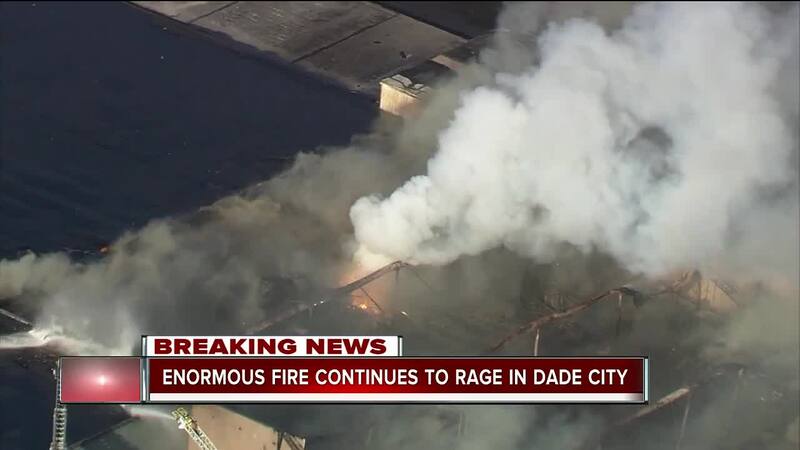 The fire spread to multiple other businesses, authorities say. The cause of the fire was welding by an employee. During preventative maintenance, employees were in the process of extending an exhaust duct to an industrial rotary furnace when sparks from the welder ignited combustibles in the area. Employees made several attempts to extinguish the fire before calling 911 and evacuating the building. The fire caused about $3 million in damage to the center.